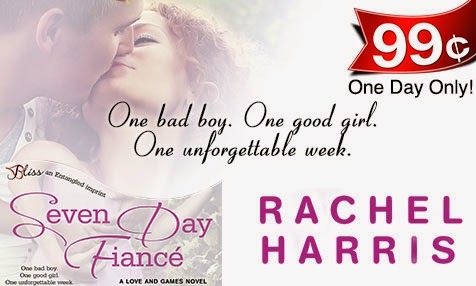 SEVEN DAY FIANCE by Rachel Harris - One Day Sale Announcement! 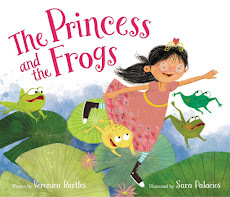 As you all know, I'm a huge fan of Rachel Harris' books. And because I adored book #2 in her Love and Games series, SEVEN DAY FIANCE, I'm super-excited to help spread the word about a special one-day sale going on today! 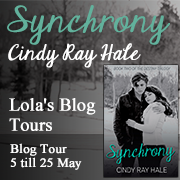 I'm happy to be a part of the blog tour for Synchrony (Destiny #2) by Cindy Ray Hale. 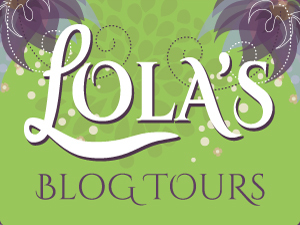 This blog tour is organized by Lola's Blog Tours, and it runs from May 5 till May 25. You can view the complete tour schedule here. Destiny and Isaac have fought bigotry and judgmental family and friends to be together. They deserve a break. But an easy road isn't in the cards for them. When Isaac's secrets finally drive them apart, Destiny feels like she may never get over the heartbreak. Luckily, Preston is there to pick up the pieces. I have to admit, I liked Preston much better than Isaac in the first book, so I was glad to see him finally get a chance here. But Isaac sort of won me over in this book, so I didn't know which boy to root for! I really felt for Destiny's dilemma. The path to true love has never been an easy one, and this time is no exception. She's finally embracing a relationship with Preston, remembering all the times over the years that he's been there for her as her own personal white knight, but Destiny is more broken by her failed relationship with Isaac than she wants to admit, and eventually, her unresolved feelings drive a wedge between her and Preston as well. Without giving away any spoilers, I can only say that I totally understand the choice Destiny makes in the end, and I'm glad there will be a third book to (hopefully) tie up loose ends! Destiny has led a truly sheltered life. 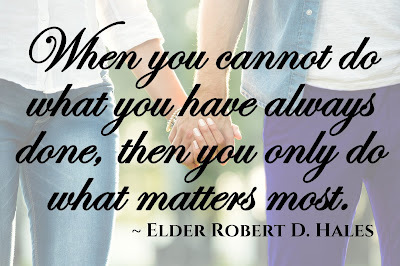 Apart from the fact that the headmaster at her Baptist high school hates her for being Mormon, she really hasn't experienced a lot of ups and downs in her life. She's simply a shy wallflower, trying to blend into her surroundings, and trying to hide her secret crush on Isaac Robinson, the headmaster's son. But when she gets a chance to perform Les Misérables with the show choir at school, as Eponine to Isaac's Marius, they begin spending more and more time together. Before long, they're stealing kisses and trying to hide their growing attraction from their families and friends. I liked that there was no clear villain in this story (except, perhaps, Isaac's horrible ex-girlfriend). As in real life, all of the characters have very complex stories. And even the majority of the judgmental, critical people in this story have good intentions and valid reasons for their bigotry, however misguided it may be. 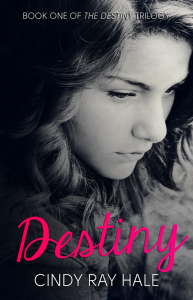 I enjoyed getting to know Destiny and Isaac (although, I have to admit, I was kind of rooting for Destiny's friend, Preston, who harbored a secret crush on her, throughout most of this story), and I was glad I already had book #2 loaded on my kindle, so I didn't have to wait a moment before diving into it! I just got home from the Romantic Times Booklovers' Convention in New Orleans, and the best part of the trip was getting to know so many of my online writing friends better. 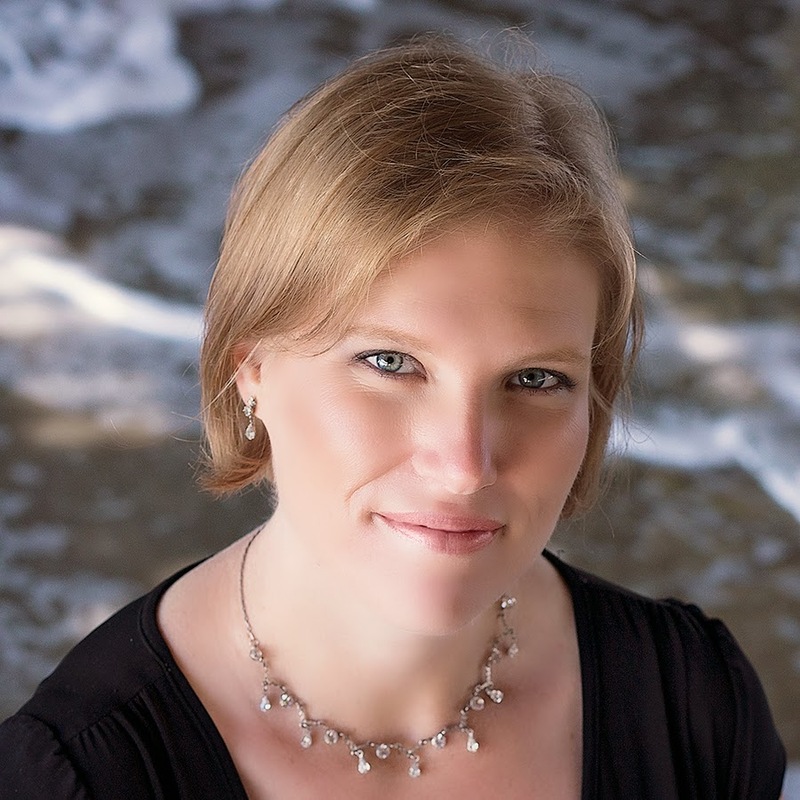 Unfortunately, not all of the fabulous writers I know were able to make it to the convention, so I invited the fabulous romance writer, Shelley Watters, to share a little bit about herself and her debut novel here on my blog. 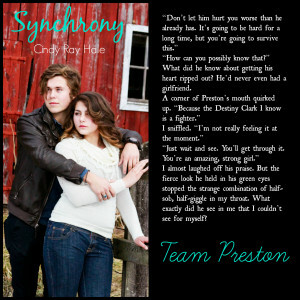 When Katrina Hale's brother dies in a house fire, she's determined to prove she's stronger than everyone thinks she is. But grief can do strange things to a person and Katrina knows all too well how the death of a loved one can change a person. As the romance in her current relationship fizzles, she focuses on her work and fights the undeniable attraction she has for Greyson Neal. Firefighter Greyson Neal is the type of guy girls dream about. But Greyson isn't interested in other girls. He wants the one woman he can never have: Katrina. 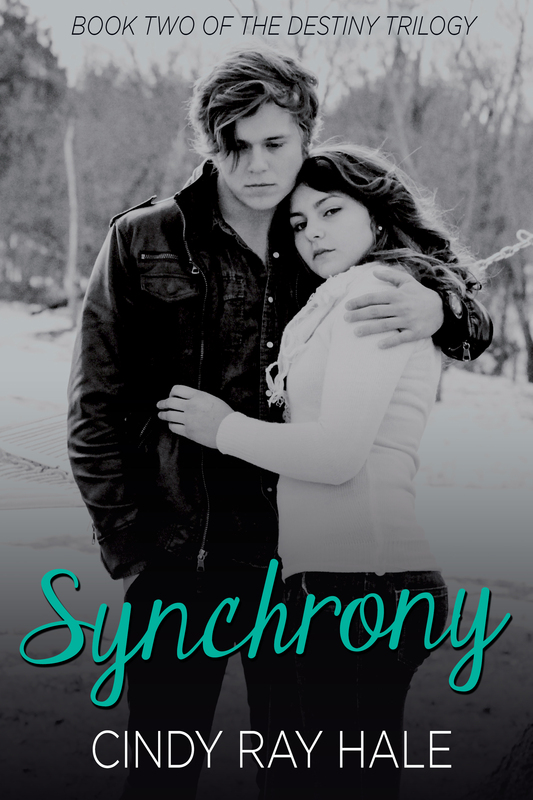 As the two struggle with their feelings, Kat must choose between her career and her heart, and fight to keep them both when an arsonist threatens to take it all away. Shelley, it's so great to have you here! Congratulations on your debut novel! Please tell us a little bit about it to start us off. 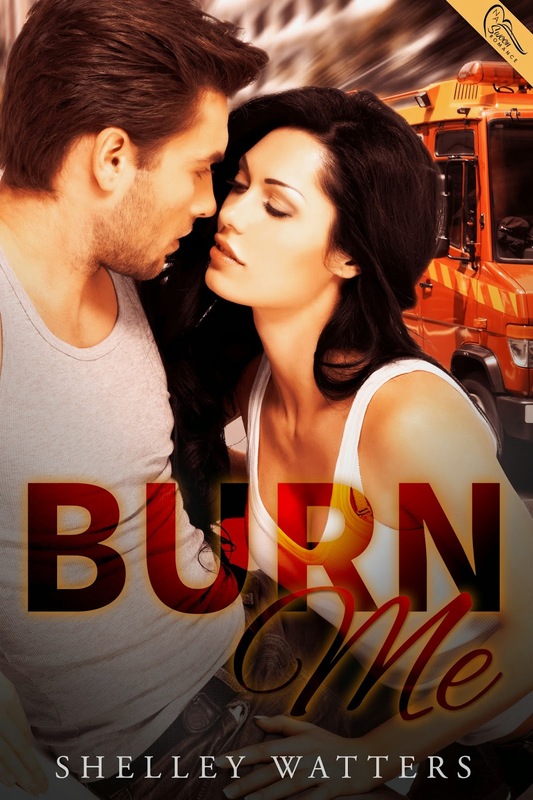 BURN ME is an adult contemporary romance with a strong mystery/suspense plot. The story follows Katrina Hale, a firefighter with the Chandler Fire Department and her battle between what her heart wants: fellow firefighter Greyson Neal, and her dream career: firefighting. Kat doesn’t need a hero, she is one. But when her worlds collide, she has to choose between her heart and her career, and battle for both when an arsonist threatens to take it all away. Over the course of my writing career, I’ve been agented twice, both of whom I parted on good terms with. 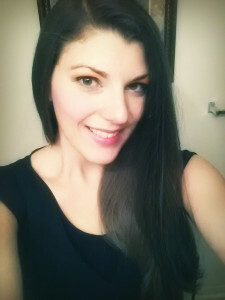 After licking my wounds for nearly a year, I entered a twitter pitch contest and the fabulous Georgia McBride from Swoon Romance requested the manuscript. Later she made an offer of publication. 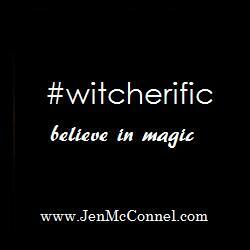 Do you have any rituals or habits that help you get into the writing zone? I have to have music on or I can’t get in the zone. And unless I’m trying to squeeze some words out during daylight hours, no lights on. It helps to minimize distractions because it’s just me and my laptop. What was the most difficult scene to cut in revisions? There’s a funeral scene that was originally the opening to BURN ME. I loved that scene, and it was such a beautiful and sad scene and really showcased the firefighting brotherhood. But in the end it didn’t set the right pace so it had to be cut. It still shows itself in the book, but not in the whole glory it originally was. Was there ever a time when you seriously considered giving up on writing? Yep. 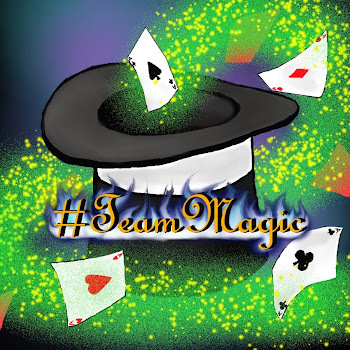 After each split with an agent, I questioned my ability to write, and if I even wanted this. I took a long hiatus, but ultimately this is my passion and I always came back to it. Do you have any advice for new writers trying to get published? I realized on my journey that in order to make it in this industry, the most important thing (aside from writing a fabulous book) was to never, ever give up. No one is going to do this for you, no one is going to go “Hey, that manuscript in your drawer? I want to publish it.” You have to keep writing, keep putting yourself out there, keep submitting. Be patient, it takes the right combo of the right manuscript in the hands of the right agent, who puts it in the hands of the right editor to make a book a success. 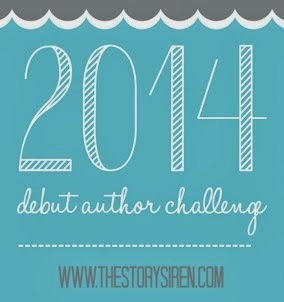 Do you have any tips or advice for writers who have already been published? Don’t forget who got you to this point: your readers. Favorite music to listen to while writing? Depends on what I’m writing. At the moment it’s Lana Del Rey and Florence and the Machine. Favorite way to unwind and recharge when you hit a writer’s block? Oh! That's my favorite way to get over the writer's block too. I totally binge-read when I'm stuck. Thanks for chatting with me! And good luck with your book! As promised, here is Shelley's hot chili recipe, inspired by her book. Because what goes better with firefighters than chili? Brown the ground turkey and sausage in a skillet. Drain fat and add to crockpot. Add the rest of the ingredients. Stir. Cook covered on low for eight hours. Shelley Watters grew up in Tucson, Arizona and currently resides Chandler, Arizona. She graduated from Arizona State University with a Bachelor’s in Sociology with a focus on Women’s Health Issues and continued on to get a Master’s certificate in Public Health Epidemiology. After serving many wonderful years in the public health sector as an Epidemiologist, she left the field to raise her family and re-discovered a long-lost passion: writing. While her days are filled with extra-curricular activities, her nights are devoted to slinging words across the page. Her novels sizzle with the heat and passion that only growing up in the southwest can bring. I love the Camp Boyfriend series by J.K. Rock, and I'm so excited to be a part of the Blog Tour for the latest in the series: CAMP PAYBACK! On Monday, I shared a fun guest post & giveaway from the fabulous J.K. Rock, and today, I'm excited to share my thoughts about this latest installment in the Camp Boyfriend series. I loved Alex in CAMP BOYFRIEND and CAMP KISS (the prequel novella), so of course I was thrilled to see a whole book with her story! I think I related to Alex the most of all characters I've met so far in this series. Not because I had super-strict parents or dreams of being an actress, but because I understand the pressure of feeling like you'll never quite measure up. Alex thinks she's the world's biggest disappointment for her parents. She can never be as good as her perfect brother, who apparently can do no wrong. And the only time her parents seem to notice her is when they're writing blog posts about how challenging it is to raise a "problem child." For years, she's tried to act the part, to be the perfect daughter they expect her to be, only letting her hair down at camp each summer. But when her parents intercept a series of suggestive texts from her ex-boyfriend and decide to send her to a strict, all-girls' boarding school in the fall, Alex decides that this summer will be her chance to get revenge and have a little bit of (mostly harmless) fun in the process. 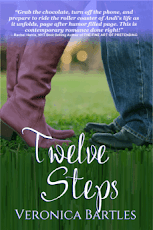 Unfortunately, when she impulsively kisses the new kid at camp, to prove a point to her ex-boyfriend, she sets off a string of events that might ruin everything. Javier was amazing, almost too good to be true (but with just enough flaws to make him real), and he was a perfect match for Alex. I loved getting to know him in CAMP PAYBACK, and I hope to see more of him in future books. I love the Camp Boyfriend series by J.K. Rock, and I'm so excited to be a part of the Release Week Blitz & Blog Tour for the latest in the series: CAMP PAYBACK! In our April release, CAMP PAYBACK, our main character, Alex Martineau, is determined to get payback against her parents and her ex-boyfriend. His disgusting text prompted them to banish her to a super-strict all-girls school when summer’s over. All she has is two months to have fun and get into a little, innocent trouble. And I can relate! 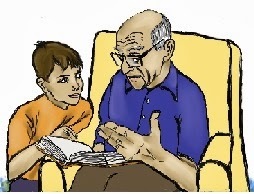 As a teenager, my eleventh grade Social teacher took discipline to Hitler level. In fact, he was impressed with the Nazis and spent a lot of time making fun of the ‘weak’ Mussolini and the Italians in WWII. This really bugged me and my friend Laura because we were the only two Italians in the class, besides hot Greg Brienza who slept through most of class and never noticed. I was one of those girls like Kayla, the main character in our third novel in the series, CAMP FORGET-ME-NOT, who never said her real thoughts out loud. I was too afraid of making other people upset or that they wouldn’t like me. But my best friend, Laura, was- and still is- like an extension of me. I could tell her anything. We talked a lot about how much we hated our Social teacher for making insulting comments about Italians. Worse yet, Mr. M would point to Laura and I (and a dozing Greg) after saying them and ask us if we agreed. As if! Since Laura was quiet (in front of adults) like me, she just shrugged. But inside, she was boiling too, especially when Mr. M made jokes to get the rest of the class laughing at Italians. Christmas came and a brilliant, but risky payback plan came to us while we were in the mall. We passed a store that sold cheap lingerie, and I commented how funny it would be to give something like that to our uptight teacher. To my surprise, Laura hauled me in there and we bought the tackiest set of red, ruffled, see-through lingerie I’d ever seen. We couldn’t stop laughing every time we pulled it out of the bag. Since we were having a sleepover, we wrapped it up that night and put a big bow on it. We couldn’t wait until Monday to sneak it onto our Social teacher’s desk. For the first time, ever, I couldn’t wait to get to school. Before Social, I asked to go to the bathroom before the bell rang. I grabbed the present from my locker (hidden in a bag) fast-walked to Mr. M’s room and peaked in. Luckily he wasn’t there and I put the present on his desk before dashing back to my other class. I gave Laura a thumbs up as we walked to his class, and we had to hold in our smiles when we took our seats. Mr. M came in after the bell and made a big fuss when he spotted the present. He exclaimed at what a nice surprise it was from our class and since everyone was basically afraid of him, no one denied that they’d given it to him. It took every ounce of will power not to look at Laura as he undid the elaborate wrapping, lifted the box cover and pawed through the layers of tissue paper. His dumfounded, shocked expression was priceless when he held up the lingerie, trying to figure out what it was. The class was hysterical with everyone laughing and finally, I could give in and join them. It was awesome. Mr. M got so mad that his face turned purple, especially when Greg Brienza (who’d woken at all the noise and seen the gift) fell backwards in his chair from laughing so hard. Laura and I, ‘the innocent quiet girls’, got away with this payback prank. To this day, no one- except now you- knows we were behind it. It became a legend in our class and school and- poor Greg Brienza- got detention for ‘distracting the class’. Mr. M blamed him and muttered something about Italians… but it was the last negative thing he said about our nationality. Justice was served!